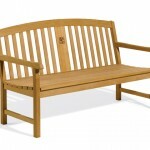 Benchmarking or Best Practice is an important management tool, but Benchmarking is not a Strategy. It allows a firm to learn about and compare itself to the winning player in the business space. 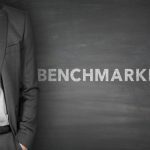 Benchmarking or Best Practice also allows a firm to model the performance of the best-in-class competitor and learn from their approach to price, product characteristics, service strategy, and market opportunity. For example, take this recent benchmarking study of lean and six sigma and executive satisfaction. Does it really tell us anything? But, Benchmarking or Best Practice, when used in strategic decision making, actually encourages herd-like behavior, converging toward the best-in-class, and erodes value for the close-followers. I’ll tell you the problem with the scientific power that you’re using here: it didn’t require any discipline to attain it. You read what others had done and you took the next step. You didn’t earn the knowledge for yourselves, so you don’t take any responsibility for it. 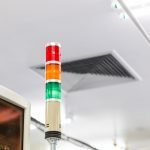 In the Toyota Production System, there is emphasis of process over results — that is, while results are important, the learning and the means by which one attains the results hold even more importance. Jeff Goldblum’s comment above echoes the tenet in Lean Manufacturing: the process of arriving at a best-in-class practice is important because that road required discipline, responsibility, and, in the process, a culture is created. On the other hand, if a firm simply copies the best-in-class, no process was followed, discipline is not attained, nobody learns from mistakes, and no culture is enhanced or created. There are obviously times when we don’t want to reinvent the wheel. For example, advances in medicine are important to adopt, because human lives are at stake and the cost to reinvent is very high. In other cases, it might make more long-term sense for the firm to learn on its own. At bottom, Benchmarking and Best Practice is just a management tool. It was not designed to drive strategic thinking or drive strategy. My son planted a very small cabbage plant 90 days ago and, today, he harvested the fruits of his labors. My son learned, first-hand, the blessing of taking care of something, putting in the effort to nurture, and was able to experience for himself the growth that comes from caring. To the right is my son, holding his 12 pound cabbage! 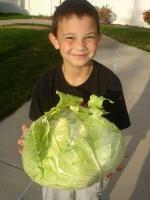 Yes, this head of cabbage weighs a lot and is pretty much the same size as my son’s body. He is so proud of his work and I’m so proud of him. The Harvest follows a process. We can’t force a plant to grow faster. The process must be followed. In the process, we learn, we change, we grow also. It’s not just about the results — yes, the results are important, but it’s not the only goal. Moreover, if we simply and carelessly follow the good results or practices of others — the best-in-class competitors — then we’ll be missing the point, because there was no discipline, learning, and the results were not earned; consequently, neither we nor the organization grow because no natural process was followed. Herd-like behavior will never win a market; Herd-like behavior usually doesn’t meet the needs of the customer. 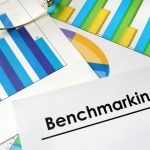 What Are the 3 Types of Benchmarking? very insightful post but I think that you did a little damage to the discipline of best practices benchmarking with Jeff Goldblum’s quote. 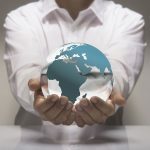 From our perspective (sales benchmarking), best practices benchmarking is a means of adopting the processes that have been proven out by world class organizations that may (or likely may not) come from your industry that are relevant to your business function. There is still a heavy implementation component after adopting a best practice, so we do not see anyway cutting to the chase as it were (and therefore not accepting responsibility for the fruit of someone else’s effort). Anyway, if you are interested in our take on benchmarking, we have a booking coming out published by Penguin next month called Making the Number. See http://www.makingthenumber.com. I am happy to send you a free galley copy if you’d like.